Cusmin gives you many options for setting admin bar colors to match your brand. Set admin bar color with Cusmin background color option. Transparent WordPress icons will automatically adjust to a new color, so changing just one option of your admin bar will make the look of your admin bar much better. You can change the default white admin bar text color with this option. We recommend using this option in combination with the background color option to match your brand. This will change the dropdown menu background color. 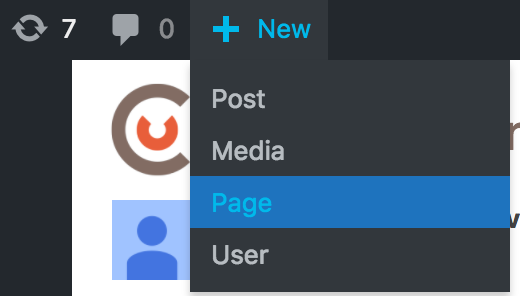 If you want to keep the default WordPress context menu under WordPress logo (or your custom logo), you can be able to change the background color of the menu. 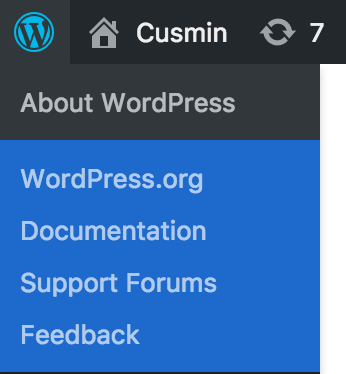 But why would you want to keep this WordPress help menu? With Admin Bar Editor, you can change the links in the menu with your custom links and with this color option in can be customized to fit your needs. Change the text color in the context menu on mouse over. Change the background color of a context menu item on mouse over. Change the icon colors in admin bar on mouse over.